On December 24, 2014, in Diatchenko v. District Attorney for the Suffolk District I, the Supreme Judicial Court ruled that all life-without-parole sentences for juvenile offenders, whether mandatory or discretionary, violate the prohibition against cruel and unusual punishment under Article 26 of the Massachusetts Declaration of Rights. This decision went beyond current federal law, which holds that mandatory life-without-parole sentences for juvenile offenders constitute cruel and unusual punishment under the 8th Amendment, but states that judges still have the discretion to impose such sentences following a hearing to determine whether life-without-parole is appropriate. 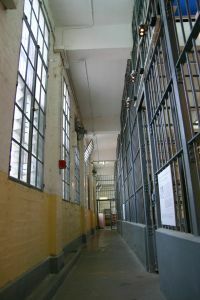 On March 23, 2015, the Supreme Judicial Court issued another decision, Diatchenko v. District for the Suffolk District II/Commonwealth v. Roberio, which addressed several questions “concerning how the opportunity for release on parole will be protected for juvenile homicide offenders” in Massachusetts. The decision specifically addresses three questions reported to the full SJC by the single justice regarding this issue. The SJC concluded that juvenile offenders convicted of homicide, sentenced to life, and seeking parole must have access to counsel, access to funds for counsel and expert witnesses if they are indigent, and an opportunity for judicial review of the parole board’s decision on their parole applications when they petition for release. The Court explained that counsel must be provided to these juvenile offenders because “[a]n unrepresented … juvenile homicide offender will likely lack the skills and resources to [adequately] gather, analyze, and present” the “complex and multifaceted issues” involved in a parole hearing. The Court ordered that if an offender seeking parole is indigent, the public defender’s office – the Committee for Public Counsel Services – should provide representation. The Court also noted in a separate decision decided the same day, Commonwealth v. Okoro, that for the same reasons set forth in Diatchenko II/Roberio, the same procedural protections must be provided to juvenile offenders convicted of murder in the second degree because they are also are subject to mandatory life sentences with eligibility for parole. The Court’s decision is undoubtedly a significant win for juveniles convicted of first and second degree homicide and highlights the fact that children charged with crimes are in a unique position in the criminal justice system – being charged as a juvenile has the potential for a better outcome in many different ways. If you have a child facing criminal charges, you will need an attorney who can make sure your child receives all of the protections he or she deserves under the law. Attorney Daniel Cappetta is an experienced juvenile defense attorney and he will work with you to get the best outcome possible. Call him for a free consultation today.